VANCOUVER, BRITISH COLUMBIA, August 2, 2016 – August 12 marks World Elephant Day, celebrated around the globe to spread awareness about the plight of elephants. Despite being respected and revered, elephants face numerous challenges including poaching, habitat loss, exploitation, abuse, and proximity to human conflict and poverty. Travellers are helping change this future by directly supporting the plight of elephants in Thailand with an innovative Volunteer with Elephants in Thailand project through SEEtheWILD. Sadly, elephant numbers have dropped by 62% over the last decade, and they could be all naturally extinct by the end of the next decade. An estimated 100 African elephants alone are killed each day by poachers seeking ivory, meat and body parts, leaving only 400,000 remaining. In Asia, more than 100,000 elephants may have existed at the start of the century, but numbers have fallen by at least 50% in the last three generations and continue to decline today. With Global Vision International’s project in Thailand, travellers travel to the Chiang Mai province to help elephants relieved from working in the tourist industry. Set in the stunning mountain forests of Northern Thailand, participants will spend part of each weekday in the field learning about elephant history, behaviour, training, biology, social interactions and more. Leaving their tragic pasts behind, these gentle giants now live improved and more natural lives in Chiang Mai, an area famous for its traditional elephant keeping communities. Travellers contribute directly to the elephants’ lives by providing working alternatives for the owners, mahouts (traditional elephant keepers) and villagers, thereby allowing the elephants to live in the forest. Participants observe elephants alongside the mahouts, drawing on generations of tribal knowledge about these incredibly intelligent animals. 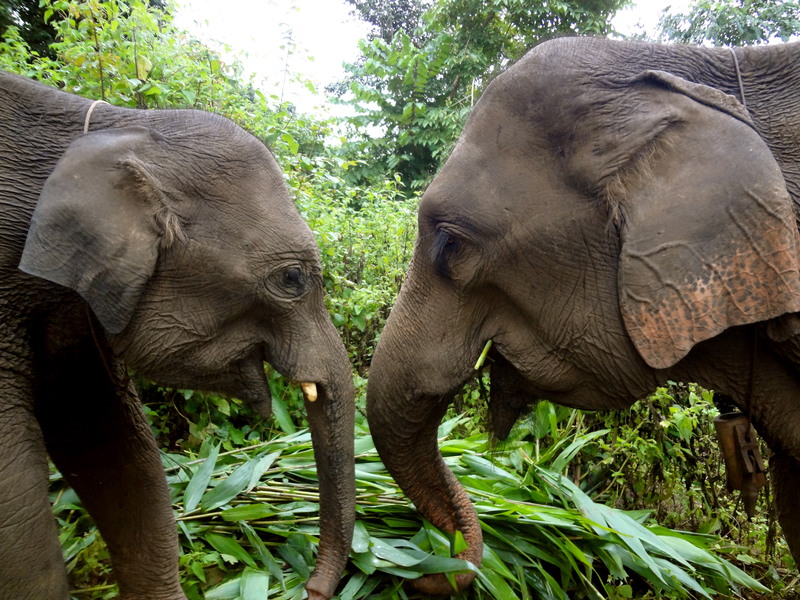 The contribution of travellers will help to keep these elephants in protected forests, continue the conservation of these beautiful animals and what remains of their fragmented forest habitats, as well as provide funding to keep the project running whilst offering alternative livelihoods to the local community. The goal of this project is to have semi-wild herds of elephants living, socializing, and foraging in their natural habitat, supervised by their mahouts around their local village. SEEtheWILD is the leading wildlife conservation travel website directory. Since 2012, SEEtheWILD has partnered with the world’s most acclaimed adventure travel and ecotourism organizations including Earthwatch Institute, Natural Habitat Adventures, Wildland Adventures, Reefs to Rockies, and Global Vision International offering more than 100 trips around the world. For more information about SEEtheWILD’s projects, visit www.SEEtheWILD.org.